There’s just something magical about princesses. Disney’s Frozen is one of the top animated films of all time with its culturally ubiquitous characters and songs and its message of happiness, love, and self-confidence. Little girls loving princesses is nothing new, but there’s something about Frozen in particular that enraptures them like no other movie. People of all ages fell in love with Frozen when it came out, but it’s the preschool set that made it the phenomenon it is, for several reasons. Firstly, Elsa’s internal struggle mirrors a pre-schoolers’ emotional world: her emotions are passionate, intense, and can be difficult to control, just as pre-schoolers tend to be impulse-driven. Elsa’s fear that she can’t escape from her emotional turmoil resonates with young children (and teens and adults, as well). Also, pre-schoolers’ imaginations fill their world with adventure and excitement. 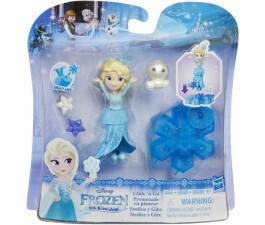 They respond to magical realism, so Elsa’s “ice powers” hold particular appeal for them. Young children are less likely to get caught up in Elsa’s isolation and despair and more likely to be in awe of her power and magic. Kids who become frightened by witches and such also love Frozen because there’s no super-scary villain; any scary parts of the movie are only minimally so, and they don’t last long. The villain is a regular guy who sings love songs and never turns into a monster or does anything terrifying. The other great thing about Frozen is the genuine connection between sisters Elsa and Anna. In spite of Elsa’s repeated rejections of Anna’s attempts to be friends, their bond and dedication to family prevail. Small children are deeply attached to their families and tend to favour members of their immediate social circles. Even when viewers are still pulling for Anna and Kristoff, the more appealing relationship is the one between the sisters. Elsa and Anna are authentic heroines full of girl power. Of course, the beautiful sing-along songs throughout the film are the icing on the cake. The movie’s anthem, “Let It Go,” has come to symbolize happiness and freedom for people of all ages and around the world.